The Denver Pioneers host the Wisconsin Badgers in what promises to be an exciting new chapter of a growing rivalry between the schools beyond the usual quest for WCHA supremacy. In the last meeting between the schools, the Badgers ran the Pioneers straight out of the Kohl Center in Madison in the NCAA regional, 6-2, ending the Pioneers’ season in bitter fashion. 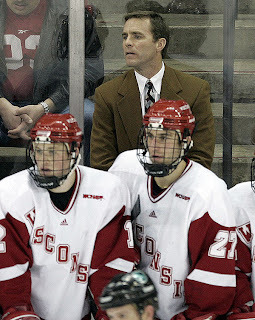 Wisconsin had historically struggled against the Pioneers in Madison in recent years, but last year, the Badgers were likely fueled by memories of the “Randy Schmidt incident” – a controversial botched video review that robbed the Badgers of the tying goal in a hotly contested league game at Magness Arena won by the Pioneers last January. The Badgers hold a 70-51-9 advantage in the all-time series that dates back to 1968. DU is 1-4 in its last five games against Wisconsin and 5-5 in its last 10. This offseason also added a little fuel to the fire when Patrick Wiercioch, a highly coveted recruit of both schools, decided to break his verbal commitment to Wisconsin after the Badgers wanted him to play another year of junior hockey, rather than come to Madison to compete for a spot on a crowded Badger backline. Instead, Wiercioch decided (perhaps nudged a bit by the Ottawa Senators, the holders of his draft rights) that he was ready for college hockey now, and chose to come to Denver to take the spot of DU defensive recruit David Carle, who had been forced to retire from hockey due to a heart condition. The Badgers roll into Denver 0-2 after a tough opening weekend on the East Coast. UW lost the opener to last years NCAA Champion Boston College 5-4 in a close contest, and then took one on the chin in a 5-1 loss at New Hampshire. Wisconsin started two goaltenders (Shane Connelly and Scott Gudmandson) and each allowed five goals last weekend. The Badgers went 0-for-16 on the power play and 16-for-19 on the penalty kill. Wisconsin returns five of its top six scorers from last year, including Ben Street, Blake Geoffrion, Michael Davies and Jamie McBain. The Badgers welcome eight newcomers to the roster, including freshmen Jordy Murray and Ryan Little, who lead the team with two points each. From my perspective, coach Mike Eaves is building a strong defensive talent base, but a lot of that talent is still young and developing. Wisconsin is at it best in tight games, and look for the Badgers to try and disrupt DU’s transition game. Wisconsin rolls into Denver agitated and angry after an 0-2 start and ranked 20th, while the Pioneers are ranked fourth and are coming off a dominant third period against Notre Dame and are playing with confidence after the 5-2 victory over the Irish. Wisconsin is deeper in the defensive talent than DU is, but the Pios have a deeper offensive attack. I also like Cheverie a little more than the Wisconsin goaltending so far, (Shane Connelly and Scott Gudmandson) who are allowing 5 goals per game. I think Wisconsin is better than its record, and I would not be at all surprised to see UW take points in Denver this weekend, especially after owning the Pioneers in the last few games. 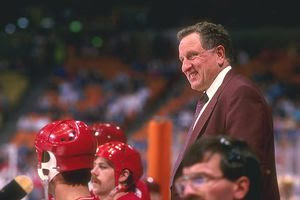 But I also think Denver has respect to play for after last years early NCAA exit at the hands of Bucky. The key to the series will be Denver's ability to use its offensive advantages as Wisconsin's defensive talent continues the gelling process. I am predicting a split. 2-1 Wisconsin on Friday, 5-3 Denver on Saturday. DU wins both 12-0 and 6-0. 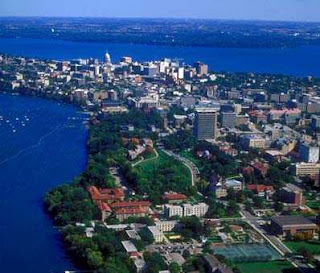 The Wisconsin Badger football team is perhaps Wisconsin's best known and best loved college sports team. 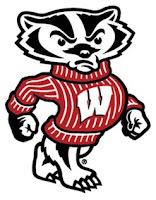 The Wisconsin Badger football program has been among the most successful in the Big Ten since the early 1990s when Barry Alvarez was became the head coach. Great job on the blog Swami!!! !